House Inspections take a detailed look at the home from the top to the foundation. Coastal Home Inspectors inspect mold and termites of a home first. Our Certified home inspectors will also inspect the shingles, the electrical wiring, and the plumbing system in a home. Essentially, our professionals will thoroughly check if everything in the house is in proper working condition and provide you with a detailed report that summarizes all of the hidden issues that they find during your home inspection. By reviewing home inspection report you can gauge the value of a home which you’re going to purchase. A home inspection is a part of the home buying process, mostly when you’re a buyer. The home inspection can protect you from unseen issues in a property also secure your investments. A professional home inspector may have considerable knowledge of common home repairs and of their costs. He may have great skills inspecting a property foundation as well as walls, floors, stairs and other important things in a home. A home inspection is a visual inspection of all areas and components of the home, both inside and out. Everyone wished for to buy dream home and it is a big investment. You don’t want to take any risk in purchasing of defected home to live. Our Home Inspectors inspect your house from start to end with clarity. This includes the roof, the attic, the interior and exterior walls, all the windows and doors, all systems including heating, plumbing, and electrical, and much more. After a complete inspection, we make a detailed report of your home defects with guidance to secure your investment. 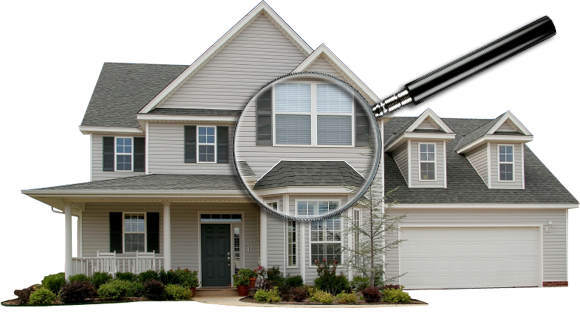 A home inspection is an investigative as well as the informative process. After the completion of home inspection we discuss the inspection findings with you and give you a detailed formal home inspection report. Report lists contain all the defects that found during the inspection. Our inspector explains those defects which appear during house inspections with the help of digital photos as well as an easy to understand general descriptive information about the systems and components of the home. Information provided by our home inspectors turns you into a knowledgeable consumer. Coastal Home Inspectors have years of experience industry. Our main objective is to make the home selling and purchasing process easy for you. We protect you from costly repairs that may possibly turn a home into a “Money Pit”. You’ll gain confidence about the home you are buying with our quality Home Inspections services. We provide you a thorough analysis of your home. We help you to purchase your dream home. We make a detail report of your home’s inspection which makes you able for a quick decision. After inspection of your house, our home inspectors give you a final report of your home. In this report, the complete details of defects in your home are mentioned. Our final report is in the form of documentation, videos, and photos of your home. Our home inspectors mention all faults of your home by which you can easily understand the real condition of your home. In this way, you will also know the real value of your home. After reading the report you can take quick and the perfect decision about your home. If you want any changes in the interior or exterior design of your home then we will suggest you in a better way.